Rabbit vaccines - I occasionally had people ask me if my bunnies come vaccinated. When I first was asked that I thought HUH? vaccinate rabbits????? and asking other breeders about it I got a similar reaction. Figuring that people got this information online I though I'd research it a bit. Found about about RCD (rabbit calicivirus disease). This is primarily an Austrailian/New Zealand/European problem. This disease needs to be vaccinated for when the rabbit is 10+ weeks old. With the wild population of rabbits being genetically similar to the domestic problem, vaccinating rabbits is rather important in those lands. It spreads from the wild population via direct contact or through items wild rabbits may had been in contact with (for instance hay). There is also a disease in the lower states (USA) that rabbits need to be vaccinated for. RHV I think is what it is called. AT this time there is no vaccinations available in Canada or the USA. The current protocol is doing a total cull. Any and all animals in any facility found to have the disease are culled and carcasses are destroyed. These are two good reasons why it is VERY important not to release domestic rabbits into the wild. We want to keep Canada safe from these diseases. THIS IS NOT an issue in Canada at this time. Our wild rabbits are genetically dissimilar to domestic rabbits. Rabbits can catch things from fleas and the wild rabbit population but they are not things you can vaccinate for, just merely things you can treat. (aka pinworms, fleas, coccidiosis etc). Rabbits can not be vaccinated for rabies as the vaccination can kill them. Chapter 5 PATHOLOGY It would be inappropriate here to insert a treatise on rabbit diseases. A disease cannot be described without reference to medical data with which the user of this book is in all likelihood not familiar. 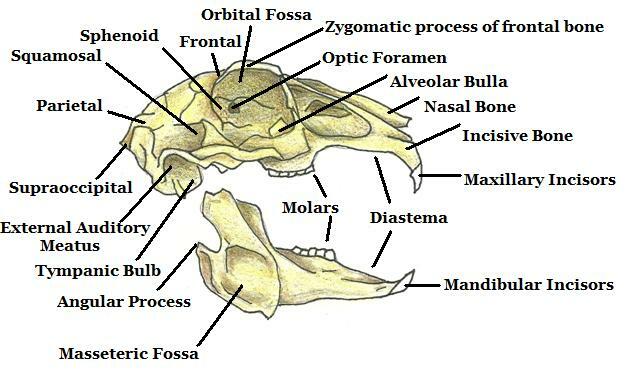 In addition, the pathogenic agents of many rabbit diseases are known and in some cases well described, but their presence does not necessarily imply the existence of a disease. Disease is almost always the result of poor husbandry and environment coupled with the onslaught of a pathogenic agent - microbe, virus or parasite. This chapter therefore starts with a general discussion of the pathology of the rabbit before it goes into more detailed descriptions of the principal diseases. Welsh's Honeybuns, Medical page. The information provided is the opinion of Welsh's Honeybuns based on our experiences and care as breeders. For any health issues always check with your rabbit vet on questions regarding the proper care! Rabbit Diseases. Information page about various rabbit diseases. Oregon Extension Office. A paper on Rabbit diseases. Nova Scoita 4H. Linked to the teachers guide PDF. 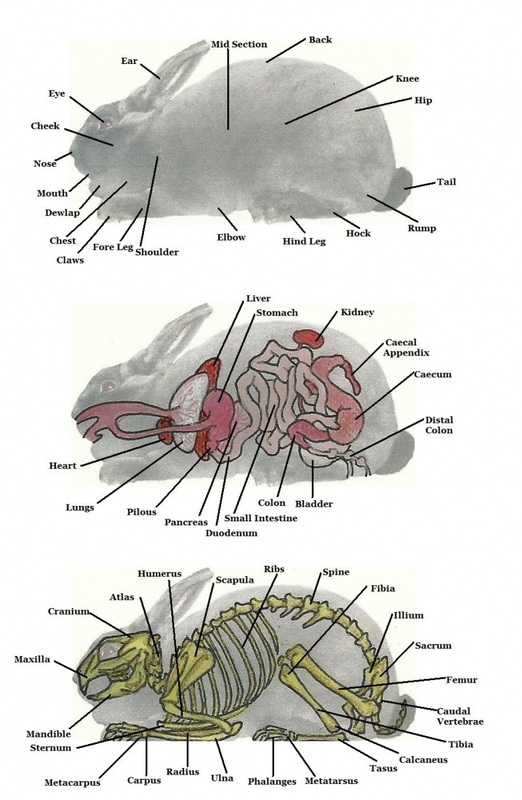 Diseases of Rabbits. PDF file on the diseases that rabbits get. Barbi Brown. Barbi's wry neck advise is used all over the rabbit world to help beat the disease, but there is a host of other rabbit related care on this site as well. MediRabbit. Divided by subject areas. Male Reproductive Tract and Castration Surgery. This is a PDF and contains graphic pictures. DO NOT look if you are squeamish, just here in case you want to know what happens when your vet neuters your male rabbit. 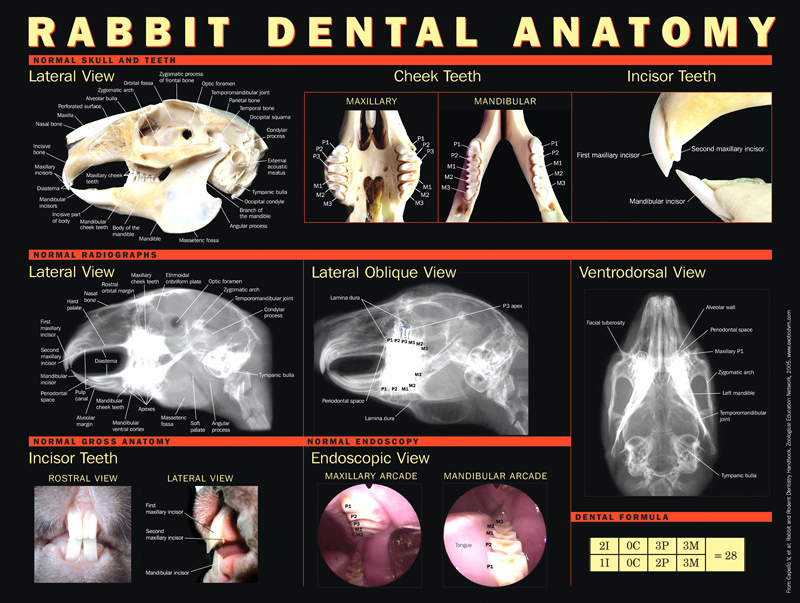 Obsidian Rabbitry has an excellent page on medical issues in rabbits. Check it out here. Sexing Baby Rabbits by ShayD. Should I Spay/Neuter My Rabbit? My advise: only spay/neuter if your rabbit requires you to do so. Some rabbits simply don't need it. Others do. Depends on their personalities AND on their owners sensibilities. It is surgery and some rabbits don't respond well to surgery so be advised to really think on whether or not it NEEDS to be done. Spaying your female rabbit will NOT remove the possibility of uterine cancer, unless it is a total complete job with not even a nub remaining. NOT spaying your rabbit won't mean that she will get cancer of any sort. So do not make that your primary reason for doing so. Spay/Neuter based on behavioural issues ONLY. Spraying past three weeks of being a teenage rabbit, aggressive (NOT cage protective) behaviour in a doe, and other such behaviours MAY warrant spay/neuter. I credit: Obsidian Rabbitry for providing these two images.